Swarm Technologies has closed its Series A financing round of $25M. The round was led by Craft Ventures and Sky Dayton, founder of EarthLink and Boingo, with participation from Social Capital, 4DX Ventures and NJF Capital. Swarm will use the capital to accelerate software and hardware integrations for customer deployments, to continue hiring world-class talent, and to deploy a constellation of 150 satellites over the next 18 months. 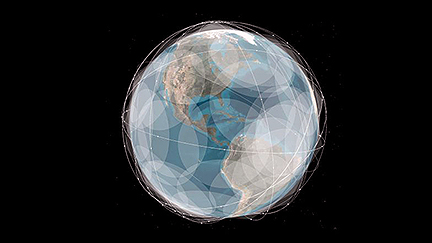 Artistic rendition of Swarm Technologies' constellation. Swarm's Co-Founder and CEO, Sara Spangelo, said the company set out to solve the decades-old problem of expensive connectivity that is not universally accessible: billions of people around the world still lack basic Internet access. With 75 billion connected devices coming online around the world over the next six years, viable and affordable network access will be essential. For this reason, the company's technology has caught the attention of dozens of companies — from early-stage startups to Fortune 100 enterprises — with whom the company has completed successful pilot tests in agriculture, maritime, ground transportation, and text messaging services. Ben Longmier, Swarm co-founder and CTO, added that on December 3 of 2018, Swarm launched three new satellites into LEO on a SpaceX Falcon 9 rocket from Vandenberg Air Force Base in California. The three satellites have gone through an initial checkout phase, and have been commissioned into the experimental phase of the mission, testing new network protocols, and new state-of-the-art communications technology. In less than two years, the company has designed, built, and launched seven operational satellites into LEO... and we're just getting started. David Sacks, Co-Founder and General Partner at Craft Ventures noted that Swarm is a critical enabler of the next big wave in computing, which is the proliferation of devices and sensors. The mobile phone is just the first of countless devices to become internet connected. The ability to connect any device easily and cheaply, anywhere in the world, without needing to be in range of a WiFi hotspot, is transformational. 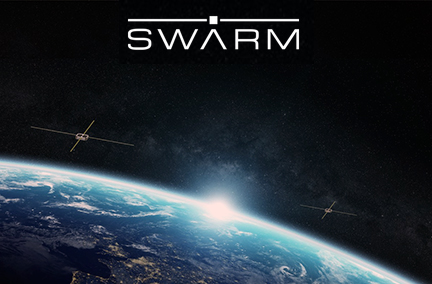 The company is excited to be supporting the brilliant Swarm team in this mission. Nicole Junkermann, founder of NJF Capital, commented that NJF Capital serves as a bridge between traditional business and industry-defining technologies and the firm is proud to be able to support Swarm on their journey. They are bringing something truly transformative to the global satellite industry, enabling low-cost access to the internet across each and every continent. NJF Capital isdelighted to be working with such an exceptional and dedicated team.